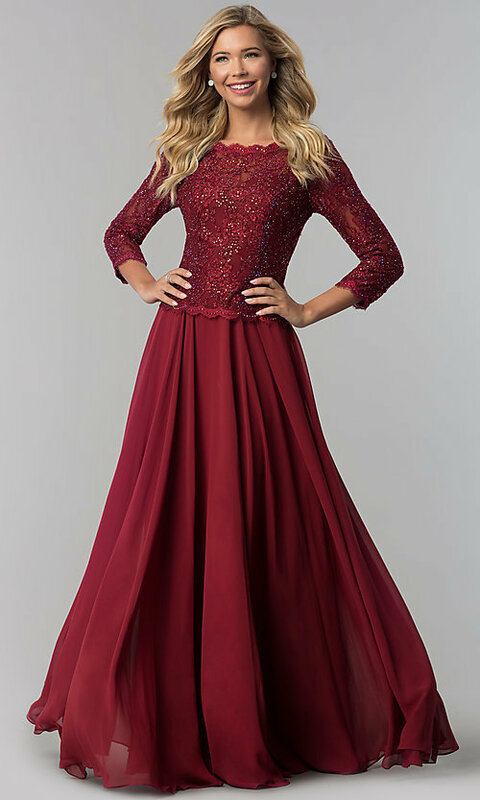 Here's a long chiffon prom dress with an air of refinement for prom 2019 or formal wedding receptions. Enhanced by glimmering rhinestones, illusion lace, on this designer formal dress by Elizabeth K, graces the sweetheart bodice for a shimmery feminine touch. Lightly fringed, dainty scallops trim the bateau neckline, three-quarter-length sheer sleeves and natural waist on the elegant evening dress. 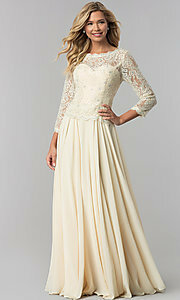 The a-line chiffon skirt swirls with movement and ends at a formal floor length. 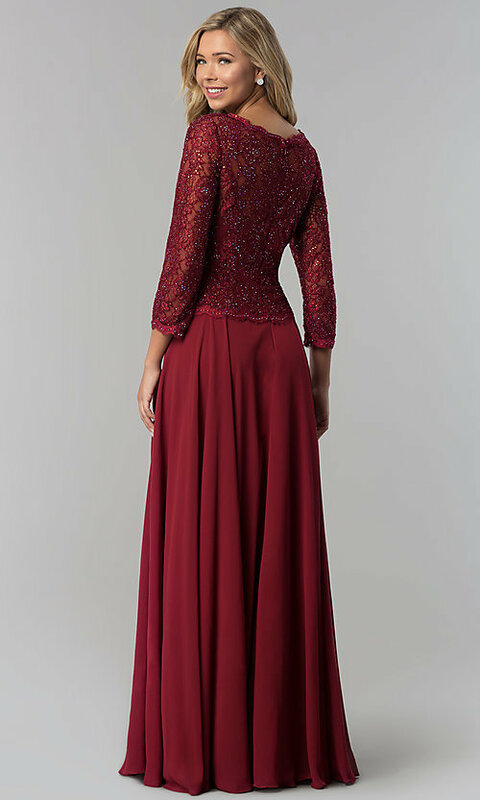 Available in misses and plus sizes, this sleeved long chiffon prom dress is a modestly sophisticated choice for prom goers or mothers of the bride or groom.